Women’s heeled sandals from MICHAEL MICHAEL KORS. 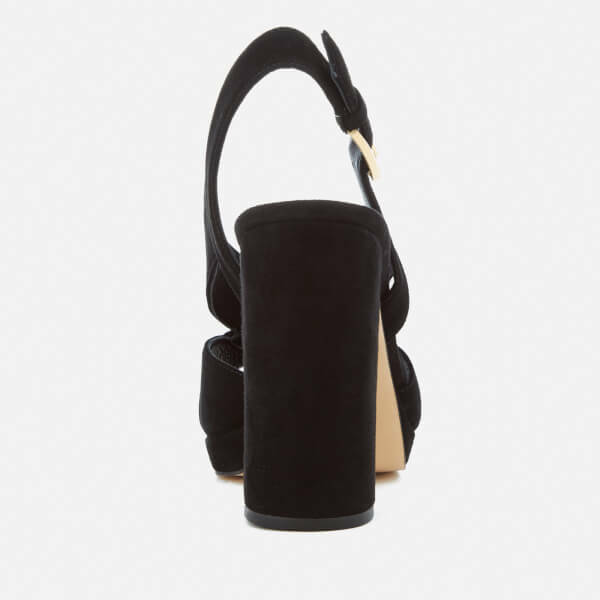 Crafted from smooth black suede, the ‘Becky’ peep toe sandals comprise cross-over foot straps and an adjustable ankle strap with a gold tone buckle. Featuring a ½ inch platform and a block heel, the shoes are complete with engraved branding to the buckle closure and additional MICHAEL MICHAEL KORS branding to the footbed.